reduces user fatigue. 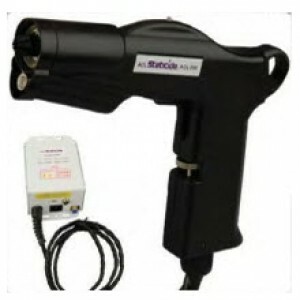 Ionizing guns connect to standard power and compressed air sources. ACL offers a one year warranty on parts and labor. ACL 250 is ideal when a forceful blast of air is needed in light industrial areas, as it is effective from three feet away. Ergonomic gun includes pop-out filter design for easy filter replacement. Its lightweight design and touch trigger control reduce user fatigue. Discharge time < 1.3 seconds from 1000v - 100v at 6"